Build your own customizable blaster that fires up to 75-feet! 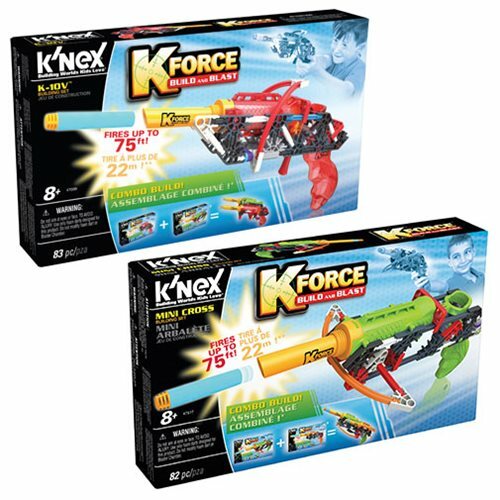 Each building set includes K'NEX rods and connectors plus special parts to create your blaster: 1x blaster chamber, 1x quick fit grip, 1x pre-load ring in a cool see-through color, and 5x foam darts. Combine these sets and download instructions for a double-blasting, 2-chambered combo build! Compatible with the entire K-Force Build and Blast line. Ages 8 and up.